I don’t have anything against ebooks. I liked my Kindle, especially for reading in bed on cold nights—so much easier turning pages with just one hand poking out from under the blankets. After a bit of experimenting, I found I would opt for an ebook if I wanted an easy read where I would start at page one and read straight through in a short time, or if I was travelling. I still preferred a print book for non-fiction or more challenging fiction. I liked to be able to go back when I suddenly realised the significance of something mentioned earlier. I also liked to flick ahead to see how many more pages to the end of the chapter so I could decide whether to turn the light out or keep reading. Nothing but vertical and horizontal white lines intersecting over the screen. My technical advisor (aka my husband) was straight onto it and soon advised that the screen was munted (and in case anyone who’s not from New Zealand stumbles across this post, ‘munted’ means irretrievably broken, knackered, wrecked). And it’s out of warranty. 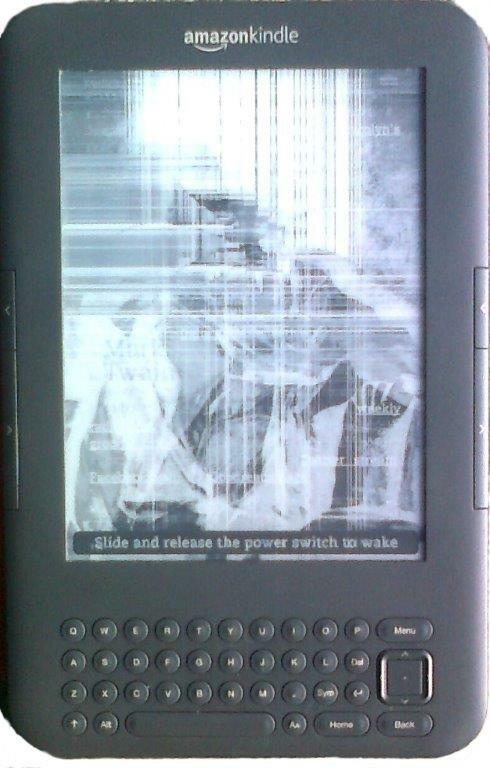 Maybe it’s just bad luck that it stopped working, but I’d never really thought about the lifespan of these devices before, and by extension, ebooks. Do I really want to spend $190 replacing a device that’s not even two years old? By the time I spread the cost of two devices across the cost of the ebooks I buy, it would be cheaper just to go down to a bookshop and pay for a print book. And that’s what I intend to do from now on. I might eventually get another device and start reading ebooks again, but I’m in no hurry. This entry was posted in Reading on August 27, 2013 by janet.